Today I’m grateful for: my daughter, a grubby little two-year-old who makes me smile about as often as she pees on the kitchen floor (which is a lot). She’s spunky and fun, and I’m so grateful for that personality. I love that she’s a master of preschool arts and crafts and that she’s the only one of her friends who would rather jump in the stream than cautiously dip her feet in it. I can’t believe how blessed I am to receive hundreds of hugs and kisses every single day for no apparent reason. Sometimes, when lunch is ready and I call her to the table, she’ll shout “hooray! horray! lunch! !” and pump her fists in the air. And then, when she sees I’ve included apple sauce, she grins up at me like I’m the super-lunch-woman who has done something completely amazing. Even better than all that, my daughter has a loving father who is happily married to her mother, involved grandparents, amazing aunts and uncles, a roof over her head, food in her belly, and enough clothes to last us into the teenage years. She is truly blessed, and that is one of my greatest blessings! Another Emma-related thing I’m grateful for? That she doesn’t like peppermint. Which means I don’t have to share any of these crumble bars with those chubby little fingers. My husband is a different story. But I’ll divide the batch into 2 instead of 3 any day! I had these bars (made with chocolate instead of peppermint– which I’ll be getting to one of these days) at my brother’s wedding in April. And I have been dying for the recipe for months now. So when we visited his in-laws during our recent Utah trip, I jumped at the chance to learn to make them myself! They are fabulous and I highly recommend adding them to your Christmas Cookie line up this year! Use a pastry cutter or a fork to cut the butter, sugar, and flour together until crumbly. Press a little more than half of the crumble mixture into the bottom of a 9x13 lined baking dish. In a medium saucepan over low heat, mix 1 cup of the white chocolate peppermint candy and the sweetened condensed milk until smooth. Pour over the crumb crust in the dish. Sprinkle the remaining crumble and white chocolate peppermint candy evenly over top. Bake for 20 minutes or until edges begin to just barely brown. *If you can’t find white chocolate peppermint candy, you can substitute white chocolate (cup for cup) and crushed up peppermint candy (as much or as little as you’d like). *The ingredients called for in the crumble portion of the recipe are an approximation. You can make more crumble topping depending on your taste! I like a thicker crust and more crumble on top, so I use 3 cups flour, 1 1/2 cups butter, and 3/4 cup sugar for mine. Expect a longer baking time if you make this adjustment. *The ingredients for the filling can also be adjusted if you’d like to have a little more filling. I’ve eaten it both according to these direction and when the filling has been doubled. They’re both good– just know that if you double the filling, it’s gooey (which is delicious, just might not package as neatly). My friend Dorothy over at Crazy For Crust is the queen of crumble! Check out this Apple Crumble Pie that inspired her blog! Yumm-o! Little girls are so much fun! I love mine, too! I hope I get to see Emma this Christmas, too! I’m looking forward to meeting you SO much, and I know Dorothy is, too :) we’ll get along famously!! Emma is too adorable. I’m glad you lucked out with such a beautiful, inquisitive and funny kidlet. She’s growing in her mama’s footsteps, that’s for sure! Oh, and don’t think I forgot about these bars. Ohhhh buddy. Ever since I saw ’em on Instagram I’ve been drooling and swooning. LOVE THEM. Being a mommy is the best, isn’t it? Okay, I’m totally loving these bars–and too funny–I made a peppermint bar with Andes mints today also. :-) I am IN LOVE with your pictures, Ashton–gorgeous! I hope you have a wonderful holiday. Pinned this last night! 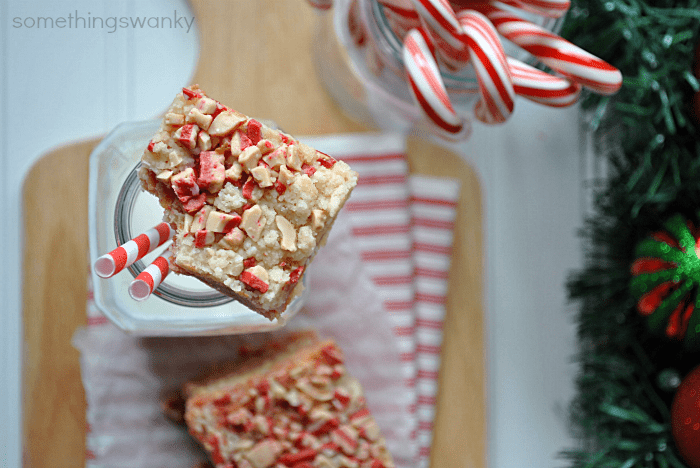 They look amazing and I even have those Andes Peppermint pieces in my cupboard! These sound really good! Did you see that segment on 60 minutes this last Sunday about the baby lab?? Pretty cool about what babies know of right v wrong!! 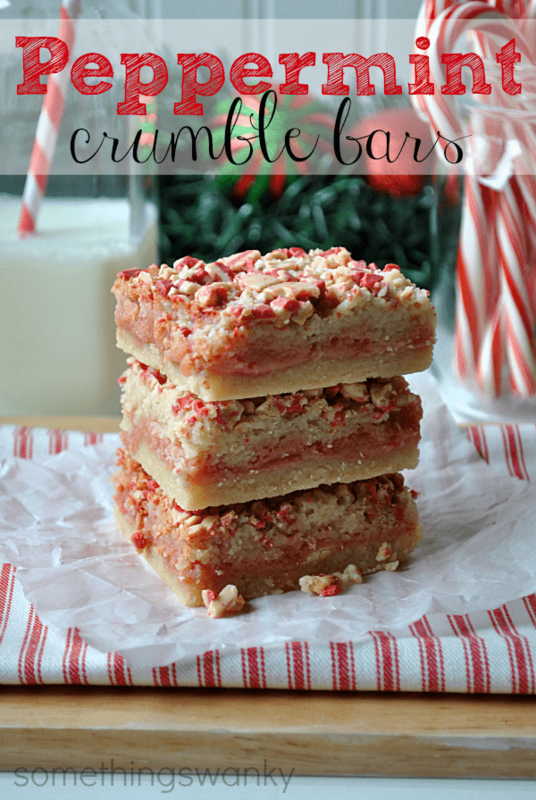 What a yummy looking bar…I am all about the peppermint these days! And your little girlie sounds so stinking adorable…love how much you love her! She is so blessed to have you with her all day long:-) Have a wonderful weekend with your family!!! Seriously…I LOVED these! I’m going to make these this holiday for my folks. I can’t wait! Thanks! I love that story about your little girl! That truly is a blessing to have such a sweetheart in your life! While I might not have Emma I can have these bars! Holy moley! These are right up my alley! I used peppermint hershey kisses. It is super yummy. 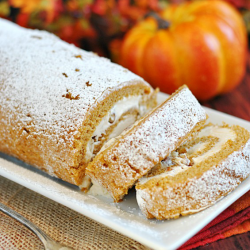 Oh my gosh, just saw these over at Crazy for Crust’s link party and they look sooOOooOo good! I need to make them asap!!! And being a mom is the best isn’t it? Ashton, you are so blessed, I hated when my last one outgrew the cute chubby stage but there are new adventures to look forward to like teenage tantrums (take away electronics) Not liking the clothes in the closest (tell them to go naked then) Girl time getting nails done (just because you need girl time) Having your taller than you son walk up behind you and give you a hug, just because. These bars sound fabulous and I see them in my very near future! Did you use your ‘extra’ amounts of ingredients for the cookies in the pictures? These look / sound fabulous, and I’d like to get the best results the first time! Thanks! Love these! I used Hershey’s Candy Cane Kisses. They worked really well. Thanks for the post!! 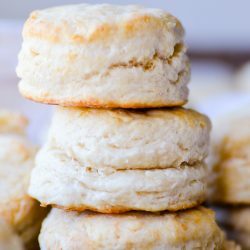 I made these and i must first say they are absolutely delicious! I was disappointed at the amount of ooozing the center layer did. I was thinking I should cut the amount of condensed milk to thicken that layer up a bit. But, I ate them slowly and over the course of the week+ the goo was better absorbed into the crust which made them easy to eat. I do wonder how I might thicken it, but will at least make them several days ahead next time. That you so much for this recipe! It is wonderful! Made these once…so good. Making them today for a cookie exchange. Also doing a batch with the Andes creme def menthe baking chips and a chocolate crumb. Mine tasted good but I think I must have cooked them too long or something. I lined my pan with wax paper and the wax paper wouldn’t come off the sides. I had to cut the sides off at the edge to get rid of the paper. Also my topping all melted and I am wondering how to make the pepermint stuff not melt. They still tasted great once I got rid of the wax paper. I think we need to work some chocolate onto this recipe! I think I’ll put the chocolate layer from magic cookie bars into it. These bars sound fabulous! I need to make them before the 1st or they’ll be off limits! Can you line the pan with something other than parchment paper? Do you need to spray the parchment? Or just spray a pan? I think you should put the amounts you use in your recipe. I wouldn’t suggest using anything other than parchment paper, it by far works the best. But you could give foil a try, just be sure to grease really well. And I always line the pan and then lightly spray it as well. What amounts are you wanting me to add? The amount of parchment paper and cooking spray?? I used your recommended amounts for a thicker crust/crumble and they turned out great! Made 3 pans to take to a cookie exchange. They look pretty and taste delicious! Thank you for the recipe! I made these for Bunco and they were a big hit. My daughter lived them so much that she wants me to make them instead of birthday cake! I just made these. They are yummy!! The only issue is that the bits on top melted. 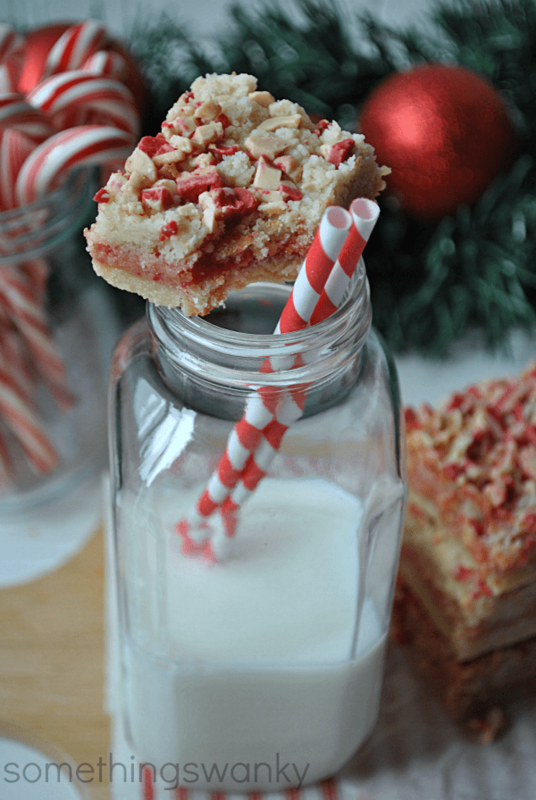 I’m bringing these to church tomorrow and don’t want people to think they are strawberry bars so I crushed up a candy cane and sprinkled some on top so you can see the cane. I used parchment paper and no spray. It worked fine that way. There was oozing on top like someone else mentioned. Since the bits melted, I am thinking that maybe instead of putting them on top before baking, maybe just bake the bars without them, and then as soon as it comes out of the oven then put the bits on. I think these would be good with chocolate chips or Andes Candes (chocolate mint) or other types of candy.